Every high schooler learns that ‘Bloody Sunday’, was a ‘peaceful demonstration’ that was violently fired upon by soldiers of the Imperial Guard in 1905. Instead of listening to them, the Tsar unleashed his Imperial Guard and gave orders for them to fire upon the unarmed civilians. 1000s of people died. The Tsar proceeded to squelch all the requests of the common people. In the absence of the Tsar from St Petersburg (because of the almost successful assassination attempt on him and his family three weeks before), a violent mob (and not ‘peaceful and unarmed’, as the Western propaganda goes), burning and looting vehicles and other property revolted on Bloody Sunday in 1905. While stories always represent Nicholas II as a cruel, unfeeling leader, all evidence points to the contrary. Always, the Tsar was heartbroken when violence broke out. On the night of Bloody Sunday, he wrote. Among the first questions people ask very piteously is this one: if the Tsar didn’t actually want people to be shot, and cared about his people, why didn’t he just march out if the Winter Palace and greet the demonstrators? Why didn’t he just listen to them? Fact Check 1: The Tsar WASN’T in the Winter Palace. In fact, he wasn’t even in St. Petersburg at all. Nicholas II had stayed in his summer home, kilometres away. His family was still shaken and recovering from a recent assassination attempt by revolutionary terrorists. The police authority had told Nicholas II that there was nothing to worry about; that while workers were striking, there was no danger of tension in the city. On the evening of January 8, 1905, Sviatopolk-Mirsky came to Tsarskoe Selo and reported on the situation in the capital to the Tsar. he did not say a single word about the upcoming march of workers to the Winter Palace, the calling of army battalions to the capital, and the plans to oppose the demonstration using the armed forces. Perhaps, if the Tsar had been in the city, the dimensions of the tragedy would have been substantially decreased, for the workers were, indeed, marching to a Tsar they loved and trusted. However, the liberals in the government, the traitorous politicians, and the revolutionaries at large knew it was necessary to create a rift between the Tsar and his faithful people in order to make revolution possible; thus, the Tsar was consistently misinformed and misrepresented by his officials and revolutionaries. Despite the rumours of unwarranted violence on the side of the Imperial Guard, the first to open fire were actually the protestors. Members of the Eserov party, a group of radical armed revolutionaries that committed numerous terrorist acts in Russia, started shooting at soldiers. It is easy to imagine how violence ensued. While there were some examples of callousness on the side of the guard, there were also generals who did everything to prevent bloodshed and stop the havoc. People threw stones, sticks, and pieces of ice at his men, showering them with insults. Litke, however, restrained his men and preferred to retreat to a secluded area, not attempting to solve the problem with force. He was not able to clear out Nevsky Prospect right away, breaking up the crowd with rifle butts “due to their stubbornness and animosity,” as he wrote in his report. After repeated peaceful attempts and three warning trumpets given with pauses in between, shots were fired, the crowd scattered, leaving around thirty people dead and wounded. Fact Check 3: The March was not a spontaneous populist movement. Revolutionaries had planned the march…and violence was part of their plan. It was led by a renegade, twice-married priest, Fr George Gapon, who hanged himself the next year, when it was discovered that he was in fact a secret agent. The necessity for a crisis to be concocted and exaggerated in order to create an environment conducive to ultimate revolt was discussed in September 1904 in Paris, at a conference (which was incidentally funded by Japanese money). While some of the strikes that led to Bloody Sunday were indeed spontaneous, there were documented cases of activists appearing at factories and forcing people to strike. Fr George Gapon, who came up with the original plan to march on the Tsar, helped put together a document of demands from the Tsar. Many of the demands were completely unrealistic and simply impossible to satisfy at a time when the country was torn by the Russo-Japanese War. And although the purpose of the march is often described as a humble request for help, it was actually a demand for unquestionable, complete submission from the Tsar…or else…. There is a peaceful march for you! It is appropriate to note here, as a prelude to the next story, that one of the columns that marched on January 9 was revolutionary, plain and simple, carrying not portraits of the Tsar, but red flags. Though the revolutionaries professed to want ‘political reforms,’ nothing of the sort appeased him. They did not need political reforms, they needed “great upheavals” as a Russian politician, Pobedonostev, later said of the revolutionaries. According to official statistics, there were 128 people killed in all (including police), and 360 wounded (including guard and police). 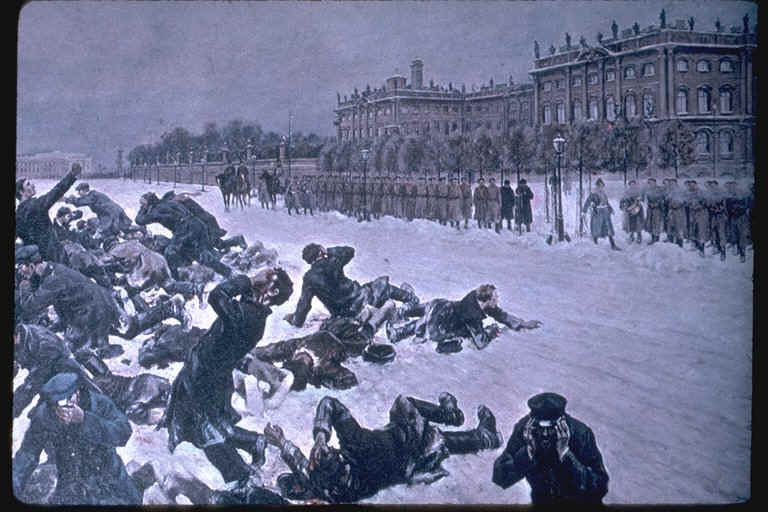 According to the Bolshevik historian V. Nevsky, who was a witness to the events of January 9, 1905, there were from 150 to 200 people killed. Meanwhile, certain authors (for example, Edward Radzinsky), and textbooks still write that there were thousands of victims. Though the Tsar systematically did everything in his power to prevent bloodshed, the use of Bloody Sunday as ‘proof’ of his callousness has become so ingrained into the public consciousness that saying anything to the contrary is often considered to be a sign of ignorance. No one cared about the meeting that the Tsar then had with the workers, about the large sum of money paid to the families that suffered on that day (50,000 rubles, the equivalent of just less than $600,000 today). Nor did anyone care about the government commission he formed to attend to the workers’ needs, nor that in 1906 the periodical Byloe (What Was) (No.1) printed an article with a truthful and thorough account of the events of January 9, 1905. Let’s hope that at least now there are people who want to know the truth about those events. 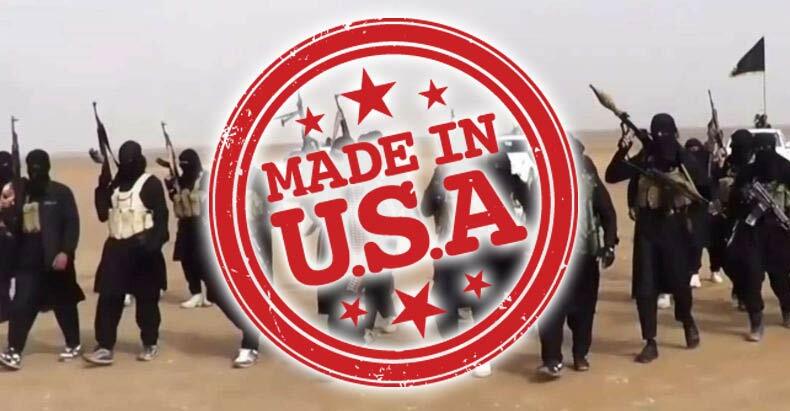 I know this will come as a shock to my regular readers, but the U.S. has been working with ISIS the entire time. Previously the Russian Ministry of Defense released unequivocal evidence of our allowing ISIS to move through areas controlled by U.S/Kurdish SDF forces to avoid Syrian Arab Army confrontation. Now, no less a news source than the BBC, itself a major member of the U.S. Department of Disinformation, is now openly reporting this and outing Secretary of Defense James Mattis’ lies about why we are still in Syria. Of course, the BBC is whitewashing all of this and portrays it as some triumph of humanitarianism. But, it isn’t. Allowing ISIS to roam freely was always the plan in Syria so that it could overthrow the Assad government. Now that that operation has failed, Plan D is to remain in country to keep a toe-hold in the region. Without them as the bogeyman how can the McCain-wing of the U.S. Deep State and the Pentagon continue to justify our presence there? And the reason why we are there is to keep Iran and Russia from running the table. But, newsflash, they already have. So, leaving our troops there is, at this point, sour grapes with no upside for anyone.Remember, we are there illegally. Our original allies in this operation, Israel, Saudi Arabia and Turkey are all operating there illegally as well. Turkey, led by Racep Tayyip Erdogan, is still trying to act like it’s playing both sides against each other, but they are in Syria without an official invite from President Bashar al-Assad to both clean up its former proxies in Idlib and keep the Afrin Kurds from taking advantage of the power vacuum. And that’s the way Iran, Iraq and Turkey want it. The Kurds will be put back into their bottle and the U.S. will eventually have to leave. But, for now, we’re continuing to try to have it our way by trying to get Assad to step down in Damascus. So, despite the propaganda which terms our involvement as saving Syrians from the evil Assad, quite the opposite is the truth. We are there to continue sowing chaos and prevent peace from breaking out. Russia is adding to the pressure by putting the diplomatic screws to the Pentagon and its mendacity concerning the end of the Syrian ‘Civil War,’ a war began by former Secretary of State Hillary Clinton and continued as policy now a year into the Trump administration. But, in many cases they ‘surrendered’ while leaving with their war materiel. The deal involved allowing more than 4000 ISIS fighters to leave Raqqa, a city the U.S./Kurdish SDF forces leveled by the way, as a convoy. This is not the first time this has happened. The Russians bombed a similar convoy that was allowed to leave the Tabqa Dam months before the supposed “Battle for Raqqa” was even engaged. Again, to repeat, these ISIS fighters and their families left under U.S. cover of the Geneva Convention but did so with their weapons in hand. That’s, by definition, not surrender.The U.S. military is in Syria to provide tactical and strategic cover for ISIS for future operations (Iran? Afghanistan?) while it and its Kurdish proxies build a myriad of military bases in Eastern Syria. 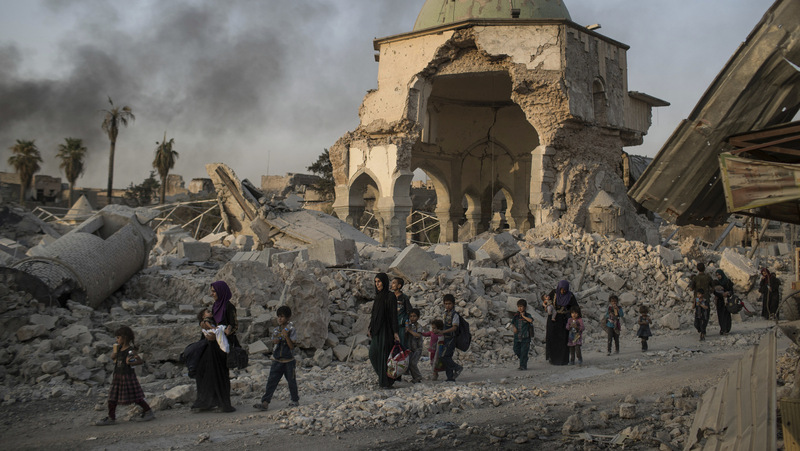 And then to make things worse the actual Battle for Raqqa was simply a controlled evacuation while the U.S. Air Force leveled the city to hinder its rebuilding. It’s a proud day to be an American, let me tell you. Why we’re doing this is to continue influencing the settlement process along the lines of Israeli desires. The problem is that the U.S. no longer has much, if any, diplomatic pull around the region. And this comes right back to Putin’s masterful turning of Turkish President Erdogan towards Russia. So, when Gen. Mattis makes statements about our mission in Syria it is looked at as a cruel joke by foreign diplomats, much like Nikki Haley’s performance at the U.N. This level of double-speak was the hallmark of the Obama administration. It’s supposed to have no place in Trump’s. The continued shrieking about evil Iran lurking behind every minute move in the Middle East is becoming as ridiculous sounding and contra-factual that the Democrats’ continued harping about Russiagate is. The BBC filing the report that is has which attempts to make cooperating with ISIS palatable for a western audience suffering from an unending string of disgusting terrorist attacks on their homes, is the height of chutzpah. You can’t demonize ISIS for four years, allow them to run amok in London, Lisbon, Paris and New York and then call the Russians animals for not following the Geneva Convention’s Rules on treatment of prisoners. And then, after letting them go their merry way, TOW rockets in hand, say that we need to stay there to combat them in the future. And yet, that’s exactly what we are doing.Diplomacy rests on the ability to keep to one’s deals. If you continually say one thing and do something else eventually no one will listen to a word you say. The U.S. is in that place now in the Middle East, so short of invading the entire region and/or ‘turning it into a parking lot,’ there is little influence we can exert over what happens next, other than to leave our troops there, stranded and without clear operational purpose. Mattis should know this is an unacceptable outcome and should be talking about withdrawal, not an open-ended commitment to further the interests of our own nightmares. One of Russia’s favorite and most talented conservative publicists takes a sledgehammer to some of the favorite arguments of the neo-bolshie crowd. 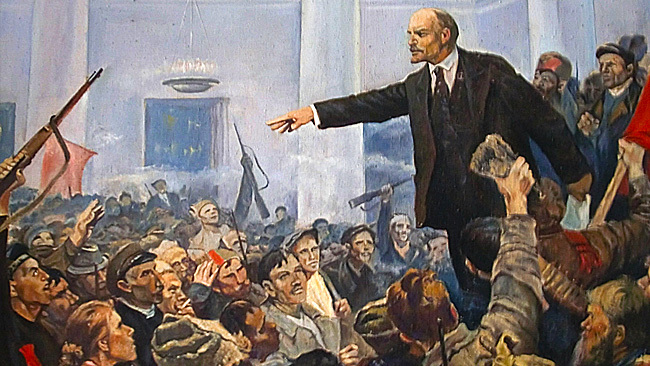 In his latest article, published at Vzglyad, Egor Kholmogorov demolishes twelve myths about the Bolshevik revolution, using a recent article by the Russian novelist Zakhar Prilepin as a foil. Why Prilepin? Who is he, anyway? You won’t find many mentions of him in the Western media, like you would of Vladimir Sorokin, Lyudmila Ulitskaya, or Dzerzhinsky admirer turned maniac Russophobe Svetlana Alexievich – writers that take a “handshakeworthy” anti-Russian stance. However, Zakhar Prilepin enjoys far more popular acclaim within Russia itself than any of those third rate entities – the only modern Russian literary authors comparable to him in eminence are Boris Akunin (historical mystery), Viktor Pelevin (satire), and Sergey Lukyanenko (sci-fi). Part of the reason is Prilepin’s background. He has nothing to do with the Moscow intelligentsia; he is the quintessential Russian redneck. Worked as a laborer, a security guard, and with the OMON riot police. Chechnya vet. Went into journalism in the 2000s, but found his true calling in artistic literature: Writing socially critical novels, typically about life in the Russian podunks (he himself hails from the rustbelt city of Nizhny Novgorod). Worst of all, he is a vatnik, a Communist (a National Bolshevik, to be precise), and a Donbass supporter. Most definitely not handshakeworthy – especially since he doesn’t exactly keep his politics on a back burner. Prilepin is also Chief Editor of Svobodnaya Pressa, an intelligent online journal and media success story that enjoys 15 million monthly visits (they even once translated one of my articles). He also pals around with DNR bigwigs and has even gathered a battalion for the War in the Donbass, though its more PR spectacle than anything else.As one of Russia’s leading “patriotic”/vatnik intellectuals, and one of the most authoritative spokespersons for what Russian Neo-Stalinists actually think, a point-by-point critique of Prilepin’s apologia for the Bolshevik Revolution has value beyond just another recitation of Bolshevik crimes and hypocrisy (of which there is no shortage of anyway). Moreover, even if you substantively or wholly disagree with Egor Kholmogorov’s critique, I hope that this translation will at least help you get a better picture of the actual state of the debate about the Soviet legacy amongst normal Russians, beyond the banal (not to mention 90% wrong) Western representation of it as a binary struggle between a Stalinophile Kremlin and pro-Western liberals. The defense of Lenin and the Bolshevik regime in Zakhar Prilepin’s recent article is so representative of the genre that one can barely leave it uncommented. The Great October Revolution lies in ruins on its centenary. The essence of its defeat lies in that even the modest apologists for Bolshevism hardly ever cite their actual programs, slogans, and values. Nobody now says that the Revolution opened the path to socialism and Communism all over the world, nobody expresses joy over the collapse of the bourgeoisie and the Tsar’s henchmen and their replacement by a workers’ state. Nobody says that the light of atheism shone through the darkness of clerical obscurantism, nobody insists that the Bolsheviks gave the land to the peasants, the factories to the workers, and peace to the people. The justification of the October Revolution, of Bolshevism, and of Soviet power – in short, the entirety of Red apologetics – now occurs from within patriotic, nationalist, conspirological, populist, and even Christian Orthodox frameworks, all of which were mostly or entirely antithetical to the Communist value system itself. In practice, this consists of sophistic manipulations of Hegel’s “Cunning of Reason.” That is, the Bolsheviks wanted one thing, but something entirely different happened in reality, and it is actually this unconscious benefit which constitutes the real blessing of the revolution. This form of apologetics was invented as early as the 1920s by the National Bolsheviks, from Ustryalov – who viewed Lenin as a patriot and a great statesman, and the Whites as agents of foreign powers in the form of the Entente – to Klyuev – who saw the Bolsheviks as liberators of the more authentic, pre-Petrine, “Kerzhen” Russia. But the value of all these apologetics was most poignantly demonstrated by the execution (Ustryalov, Klyuev) or imprisonment (Karsavin, Savitsky, Shulgin) of everyone who glorified Bolshevism through prisms other than Marxism-Leninism. Sure, the Bolsheviks were not averse to using smenovekhovstvo – the White emigres pushing for conciliation with the Soviet regime – for their own purposes, but they most assuredly did not subscribe to their vision of their historical mission as patriots, regatherers of the Russian lands, and custodians of the Russian state. Why do people still bother with Red apologetics today? Partly, on account of inflexibility. Russia in the 1990s was infested by ghouls, screeching that they had freed us from Lenin, the Communists, and the revolutionary heritage – while quietly freeing us from the contents of our pockets. And since this looting occurred under the banner of anti-communism, it is no surprise that pro-Soviet discourse grew popular, since it, at least, did not brook this mass looting.For all intents and purposes, Red apologetics was an apologetics for a social state; for public property, that had been created by the common labor of the Soviet people; for the Army, cosmonautics, the military-industrial complex, the Navy, the research centers, and so forth. And this was logical. But this train has passed. Russian society now faces new challenges, in which the political canonization of Bolshevism, Leninism, and Stalinism are not the friends, but the enemies, of our future. It is precisely this form of apologetics that was advanced by Zakhar Prilepin in his recent article 12 Points about the Revolution and the Civil War. His defense of Lenin and the Bolshevik order is so representative that the urge to deconstruct it is irresistible, so that is what we shall do, point by consecutive point.1. The Bolsheviks did not overthrow the Tsar – they overthrew the liberal-Westernist Provisional Government. The Bolsheviks were the most categorical supporters of overthrowing the autocracy amongst all the Russian opposition parties. They excluded the possibility of keeping the monarchy even in a purely constitutional form; they were the most consistent republicans. “The Russian Social Democratic Workers’ Party considers its immediate political task to be the overview of Tsarist autocracy and its replacement by a democratic republic,” read the program of the RSDRP accepted at its 2nd Congress, the very one where Lenin’s supporters constituted the majority, and henceforth came to be known as the Bolsheviks. The Bolsheviks didn’t play a major role in the overthrow of the monarchy only because the party was still very weak as of February 1917. But they more than compensated for this through their murder of the royal family, which, besides the innate abhorrence of the murder of the children and the servants, constituted the true overthrow of the Russian monarchy. As many historians and legal theorists have pointed out, the abdication of Nicholas II in March 1917 was legally null and reversible, whereas death was final.2. Prilepin, arguing that the Civil War between Whites and Reds was started by the Februarists (Kornilov, Alekseyev, Savinkov), poses this rhetorical question: “Do those who oppose Lenin and the Bolsheviks really believe that Russia would have been better off in the 20th century if it was governed by liberals, revolutionaries with a penchant for terrorism, and generals who broke their vows”? Unfortunately, the majority of our readers are still not sufficiently familiar with the history of the anti-Bolshevik resistance, and might, therefore, be inclined to agree with this assertion. But that doesn’t make it correct. The leaders, the real icons of the White movement – generals Drozdovsky, Markov, Kappel, Yudenich, Kutepov – were convinced monarchists. The only consistent republican amongst the leadership was Denikin. The position of Admiral Kolchak remains unclear. The rest in one way or another expressed support for the monarchy. Moreover, despite the dissatisfaction of Entente emissaries, the White movements continuously moved rightwards throughout the years of the Civil War towards a more definite monarchism, culminating in a Zemsky Sobor in Vladivostok in 1922. Even the republican Denikin admitted that half of his Army consisted of monarchists. An honest answer to these questions demonstrates how even a regime of incredibly odious Februarists was still far preferable to Bolshevik tyranny. Even the most authoritarian right-wing regimes are incomparable to leftist totalitarians on the scale of their repressions and destruction. Pinochet is not Pol Pot. Furthermore, we can see why even the Februarists were preferable to Communist power by the example of the 1990s. In those years, the new Februarists encountered fierce political, ideological, and sometimes violent resistance from the national-patriotic forces. In the end, before a single decade passed, and Russian February ended, voluntarily surrendering power to Putin, who began the process of state rebuilding. Why would the 1920s have been any different? Nobody ever suspected the Bolsheviks of acting in the interests of the Entente. It is the Februarists, overthrown by the Bolsheviks, who were probably English agents, whereas Lenin and his colleagues are, not without justification, seen as German agents. There were no even minimally significant clashes between the Bolsheviks and the German Army, which occupied a large portion of Russia under the Brest Peace. Lenin and his government was absolutely loyal to Germany up to the last day of the Hohenzollern monarchy, with tremendous benefits to the German war effort – a large part of the Army was freed from the Eastern Front and hurled west instead, helped along by food supplies from the Ukraine. You can’t make a silk purse out of a sow’s ear. Lenin was most scrupulous about keeping his side of the German contract, up to and including pressuring even his own party to ratify the Treaty of Brest-Litovsk. It is sufficient to recall that on March 1, 1918, the Bolsheviks matter-of-factly surrendered Kiev, liberated from the Petlyurites on February 8 as a result of a workers’ uprising. The enduring nature of the Bolshevik-German alliance is testified to by its quick resurrection under Germany’s new republican rulers, despite them having suppressed all attempts to seize power by Moscow-backed Cominternists. 4. “When discussing the exile of part of the aristocracy from Russia, and its replacement by “cooks and bandits,” as some of us say, it is worth recalling that Lenin, too, was a noble, as were many of the most prominent Bolshevik figures and leaders of the party” [there follows a discussion of the noble descent of Lenin, Ordzhonikidze, Mayakovsky, and even the Chekist, Gleb Bokii]. There is nothing new about some members of the aristocracy defecting to anti-aristocratic movements. One can cite many other historical examples, from Pericles in Ancient Athens to Philippe I, Duke of Orléans. The list of names mentioned by Prilepin himself shows that the number of noblemen amongst the leaders of the Bolsheviks was negligibly small (especially when your exclude Polish nobles such as Dzerzhinsky, who hated everything Russian and were considered revolutionaries a priori in the Russian Empire). Moreover, the degree of Lenin’s noble stock shouldn’t be exaggerated; his father, Ilya Ulyanov, was the son of a petty bourgeois, and only acquired the rank permitting him to pass on his noble status seven years after Vladimir’s birth. Relations between the Bolsheviks and the nobility were determined not by individual relationships, but by the political philosophy of Bolshevism, the essence of which was class war – and the nobility, just like the priesthood, the bourgeoisie, and well-to-do peasants were seen as class enemies, destined for destruction. Prilepin’s numbers are an arbitrary fiction concocted by the Soviet researcher Alexander Kavtaradze in the book Military Specialists in the Service of the Soviet Republic 1917-1920. His speculations were refuted in Sergey Volkov’s ground-breaking research manuscript The Tragedy of the Russian Officers. 1. The 8,000 officers who voluntarily signed up with the Bolsheviks to participate in the “curtain forces” shielding Russia from German forces in the spring of 1918. These were men who wanted to continue fighting the German enemy, but were betrayed by the Bolsheviks, and subsequently, a significant number of them left the Red Army or even joined up with the Whites. 2. The 48,000 former officers conscripted into the Red Army from 1918-2020, often coercively. 3. The 14,000 imprisoned White officers, who entered the Red Army to save their own lives. These former officers constituted around a quarter to a third of the command of the Red Army, but their percentage steadily declined, since the Bolsheviks didn’t trust the Tsarist military experts. It also a manipulation to put the numbers of the officers’ corps of the Russian Empire at 150,000. That was the number of officers in the active Army, whereas the numbers given as serving the Bolsheviks included all officers, regardless of where they were in 1918 – in the rear, in hospital, etc. According to Volkov’s calculations, the size of the Russian officer corps was 276,000 at the end of 1917. Consequently, less than a quarter of all Russian officers ended up serving the Reds. For comparison, there were 170,000 officers who took part in the White movement, of whom 55,000 died in the Civil War, and a similar number of whom ended up in the emigration. “So you still want to talk about how the cooks and bandits deceived and defeated the wonderful, blue-blooded Russian nobles, who didn’t at all renege on their oaths to the Emperor?” asks Prilepin. The quality of the officers who went to the Bolsheviks should be discussed separately. The Russian Army command could be separated into two main groups by 1917. The first group were the cadre officers of the Imperial Army, like Roschin in The Road to Calvary by Alexey Tolstoy. This category was seriously depleted by the war, especially in its early stages, which predetermined the discipline crisis in the Imperial Army. The second group constituted officers produced by the exigencies of wartime, such as the poet Nikolay Gumilev and Alexander Blok, Telegin from the aforementioned Road to Calvary, the notorious ensign Nikolay Krylenko, etc. These people were, essentially, ordinary intellectuals in epaulets, neither from military families nor possessing serious military training. General Gurko spoke with distain about the “clerks and bathhouse attendants” turned officers. A significant part of them, ensigns, didn’t differ much from ordinary soldiers, and from the civilians, whose ranks they had recently withdrawn from. The vast majority of Red officers came from this group, while cadre officers constituted no more than 6% of the command. Wikipedia currently lists 385 Tsarist generals who served in the Red Army. For comparison, there were close to 4,000 generals in the Imperial Russian Army in 1916, and even more by the end of 1917. No more than 10% of the generals went on to serve in the Red Army. There were practically no top-level commanders from the First World War; for the most part, they were either staff generals (Mikhnevich, Manikovsky, Zayonchkovsky), or dashing colonels, who got their high ranks in the war. Even more telling is that the Bolsheviks did not entrust these generals with independent command, instead using them more as specialist consultants, and surrounding them with commissars. One rare exception was major-general Vladimir Olderogge, who finished off Kolchak’s army in Siberia in 1919. However, the ultimate fate of most of the Tsarist generals and officers who went to serve the Bolsheviks is even more germane. Consequently, we come to the following conclusion: Either the Soviets inducted enemies into the Red Army, who served it insincerely; or the Bolsheviks deliberately destroyed the officers and generals who believed them and chose to serve them out of their love for the Motherland. The first event of the Civil War in Russia was the Bolshevik coup in Petrograd and Moscow that included such acts as the shelling of the Kremlin – that is, a usurpation of power. Apparently, the author assumes that all citizens of the former Russian Empire had to accept the usurpation simply because some Congress of the Soviets in the capital proclaimed the transfer of power to something called the Sovnarkom. If every usurper has the right to unconditional submission, then Major Prilepin is out of place in the Donetsk People’s Republic military. By his own logic, they are typical mutineers who failed to accept the self-proclaimed régime in Kiev and “unleashed” a war by refusing to submit to Maidan usurpers. Painting the Bolsheviks as Russia’s defenders against intervention is an old propaganda stunt. The Entente intervention sought to contain the consequences of their largest ally’s withdrawal from the Great War, then in full swing, and the signing of a separate peace treaty by its usurper government. Neither Britain nor France nor the US sought to annex a part of Russian territory or overthrow the Bolsheviks by military force (however successful those attempts could have been), and lent very scanty aid to the anti-Bolshevik resistance while being very assertive in demanding gold in exchange for said aid. In Spring 1919, the Entente decided to completely cease all military intervention in the Russian Civil War. None of the different “interventions” ever posed any credible threat to the Bolshevik régime. 7. “The first pieces of legislation adopted by the Bolsheviks after their rise to power had nothing repressive in their nature. The Bolsheviks came as unprecedented idealists, liberators of the people, and democrats in the best sense of the word”. On October 27th (November 9th New Style), the Soviets promulgated the Decree of the Press, its fourth decree up to that date. It justified and introduced criteria for a repressive crackdown on all “bourgeois” press outlets by the Sovnarkom. They were three in total: calling for “an open resistance or disobedience to the Government of Workers and Peasants” (i.e., when a legitimate government refuses to defer to usurpers); attempts at “fomenting dissent via grossly obvious perversions of fact” (i.e., any information the Bolsheviks deemed unfavorable to their cause); and calling for “acts of patently criminal or felonious nature” (i.e., given that no Penal Code existed at the moment, acts of any nature the Sovnarkom didn’t like). Over November and December, the preaching of violence in Soviet acts intensified: confiscation of private printing presses and reserves of paper (November 17th, this and the following dates New Style); state monopoly on public notices (November 20th); demands for arrest and trial “by the revolutionary court of the people” for anyone deemed “harmful to the people’s cause” (November 18th); explicit ban on direct and intermediary negotiations with the “leaders of the counterrevolutionary insurrection” (December 8th); arrest warrant for the leadership of Constitutional Democrats branded as the “party of the enemies of the people” (December 11th). So much for “democrats in the best sense of the word”. It turns out that Bolsheviks were typical hypocrites – when different nations actually tried to use the rights they were entitled to, they immediately “shifted their tactics” and turned to “territorial expansion”. Seems very familiar in the light of how the Bolsheviks treated all other human rights. And, of course, the Bolsheviks did not expand to any territory in the end. By the time the Civil War ended in the Russian Far East, they had lost the Baltics, Western Ukraine, and Western Belarus, ceded to Poland by the Riga peace treaty, as well as Bessarabia, annexed by Romania. Stalin took all of this back in 1939, no thanks to Bolshevism but thanks to World War II and a deal with Hitler (and none of this, save several districts transferred from Estonia and Latvia, was added to the territory of Soviet Russia proper). The territory that got misplaced on the road to Communism included even the Uriankhai Krai (now the Tuva Republic), only reintegrated in 1944. Permanent losses included regions of Western Armenia ceded by 1921 Moscow and Kars treaties to “our friend Kemal”: Kars, many times washed by the blood of Russian soldiers, and Mount Ararat. After recognizing Finland’s independence, Lenin, in a gesture of largesse, gave up Vyborg, conquered by Peter the Great from the Swedes. In 1940, Vyborg returned to Russia only thanks to Marshal Mannerheim. His obstinate resistance to Soviet forces caused Stalin to abandon plans for a puppet Democratic Republic of Finland led by Otto Kuusinen. Instead of signing a treaty with the puppet state, voluntarily ceding a good half of Karelia and drawing the border south of Vyborg, the Soviet Union was forced to sign a full-fledged peace treaty with harsh conditions. The Soviets did exactly zilch in terms of expanding Russian territory until the very capture of Lvov during Stalin’s “liberation campaign” against Poland. However, Lvov would have become a part of the Russian Empire anyway had the Tsar not been deposed. Under Stalin, Lvov became a poisoned gift that contaminated the Ukraine with the most radical strain of nationalism. Eulogizing about Leninist national and territorial policy is a particularly arduous affair for Prilepin. He resorts to parroting the Liberal thesis of “all empires are bound to collapse” and appealing to a treaty between Britain and France regarding the “partition of zones of influence in Russia”. Let’s start with an outright hoax. The Whites were fighting for a united and indivisible Russia. This was the chief slogan and the main goal of the White movement. Gens. Kolchak, Denikin, and Wrangel alike were adamantly against recognizing any separatist statelets that had sprung up in the territory of the Russian Empire. As has been said, treating a British-French agreement signed on December 23, 1917, and establishing zones of responsibility of Entente powers in the South of Russia, with the Great War still ongoing, as a “partition of Russia between Britain and France”, is entirely baseless. The author may fulminate against the idea of Bolshevism as the culprit that had planted the bomb under Russian territorial unity as much as he wishes to. But nothing can be done to disprove the fact that the Bolsheviks established a “Kyrgyz Autonomous Soviet Socialist Republic” in 1925, rechristened the Kazakh Republic in 1925, its capital until that year having been Orenburg. Such was the revenge of the Bolsheviks against the Orenburg Cossack Host for their resistance. That Russian city having been transferred away from Kazakhstan and back to Russia is nothing short of a miracle. Many other parts of Southern Siberia were much less lucky. The Soviets, everywhere they could reach, created republics with a right to autonomy and secession, created “titular ethnicities” , granted them development funds, constructed their histories and gave them Latin-based writing systems (something reattempted by Nursultan Nazarbayev with much fanfare). Terry Martin’s study The Affirmative Action Empire: Nations and Nationalism in the Soviet Union, 1923-1939 is a terrific analysis of this process. Mykhailo Hrushevsky, the founding father of Ukrainian separatism, came to enact, in his capacity as President of the Ukrainian Soviet Academy of Sciences, more than he ever could dream of as President of the Ukrainian People’s Republic – turning millions of Little Russian peasants into “Ukrainians”. Ukrainization was a central policy of the Soviets in the 1920s – 1930s and never ceased completely in later eras. Indeed, Stalin did dampen those processes somewhat (even though he upgraded Kazakhstan, Kyrgyzstan, and Karelia-Finland from autonomies to full-fledged Soviet republics, the latter fortunately abolished by Khrushchev), but they never stopped for the entirety of the Soviet régime. Finally, the artificial borders chartered by Communists exploded in 1991 thanks to Liberals. Who is to blame for falling to the ground – the one who laboriously sawed the chair’s legs or the one who carelessly parked his rear end on its seat? The Patriarch did not anathematize the Bolsheviks, only those who enacted cruel persecutions against the Church and Orthodox Christians, those who murdered priests, robbed churches, stripped decorations from icons, desecrated holy vessels, and so on. Our great Motherland is conquered, diminished, and dismembered, and, as a tribute imposed upon her, you secretly send to Germany the gold that doesn’t belong to you. No one feels safe anymore. Everyone lives in constant fear of searches, robbery, eviction, arrest, and execution. Innocents are taken by the hundred, tortured in prisons for months, often put to death with no trial or jury, even an expedited trial that you introduced. The executions affect not only those guilty before you in some way but even those who are patently blameless but taken as “hostages”. Those unfortunates are murdered as a revenge for crimes enacted by people who not only don’t have opinions similar to theirs but also support you or have convictions comparable to yours. First, under the name of “bourgeoisie”, you robbed well-to-do people; then, under the name of “kulaks”, you turned to robbing richer and more diligent peasants, thus multiplying poverty, even though you must realize that, by ruining a great multitude of individual citizens, you destroy public wealth and lead the entire country to destitution. In this context, it seems that the point of whether the Patriarch, taken hostage by the Bolsheviks and subject to constant mortal danger, supported the Whites or not is moot. The identity of the laborers that the Bolsheviks sided with is rather unclear. Were they factory workers doomed to several years of devastation, famine, and non-functional plants? Or peasants, languishing from the terror of Prodrazvyorstka and Kombeds  and later rising up in the Tambov rebellion  (and many others), suffocated with chemical weapons? When the “exploiters” were in charge, the Russian economy grew by 8% a year; it took the Soviets more than a decade to reach its 1913 levels. Regarding the “Russian Forbes 500”: with the exception of Russia’s richest man Nikolay Vtorov, murdered in 1918 in Moscow under suspicious circumstances, the others emigrated and saw the twilight of their years in Paris or Monaco. In the 1920s, Mikhail Tereshchenko’s 127-meter yacht, the Lolanthe, was the world’s largest yacht afloat. This was all peanuts compared to what came next: a system of forced labor, the main know-how of Stalinist industrialization. Having no means of concentrating enough capital to fulfill his 5-year plan, Comrade Stalin found an elegant solution – dropping the costs of the other industrial factor, labor itself, to near zero. For the first time in history, the world saw a modern industrialization based on slave labor. The Bolsheviks were successful in annihilating private capital. The state remained the sole capitalist. And it was the state, not individual businessmen, who conducted negotiations with workers, with the barrel of an NKVD pistol as its ultima ratio. While their comrades in both Europe and America successfully campaigned for better wages and welfare and formed the system of the social state, Russian workers spent decades in slave-like conditions and deemed themselves lucky if they weren’t converted from slaves of the 5-year plan to bondsmen of the Gulag. I won’t contest that the Russian People emerged victorious from the Civil War. 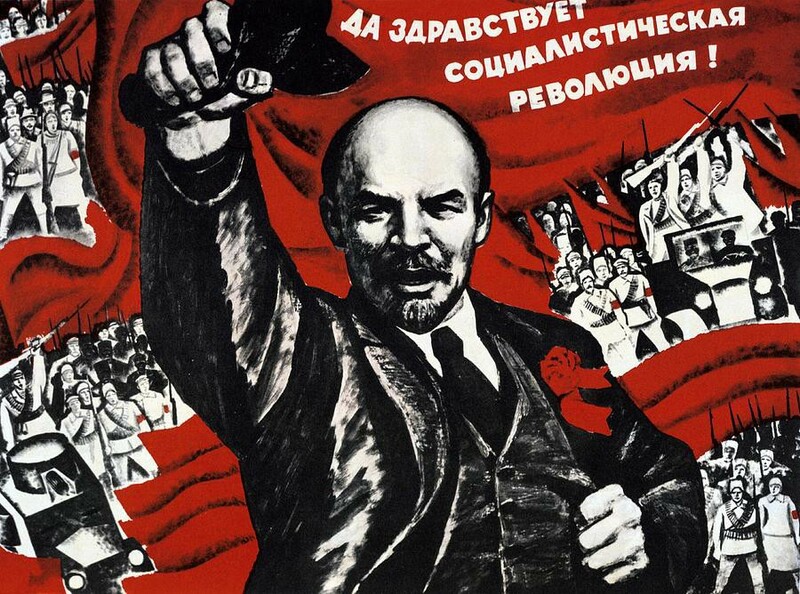 If many, all too many Russians hadn’t thrown their lot with Bolshevism, either actively or by submission, no Latvian riflemen or Chinese volunteers could have led Lenin and his gang to victory. The Russians, however, won a victory over themselves and their kin who dared to side with honor, God’s truth, and a tormented Fatherland, the united and indivisible Russia. This victory led all who kowtowed before Bolshevism to decades of poverty, terror, slavery, and Kafkaesque everyday life. Their only daily consolation was the hope of suffering for the greater good, a Grand Project. No one reminded those people that only recently Tsarist Russia had completed one of the most astounding projects in the history of mankind, the transcontinental Trans-Siberian railway. It was achieved with no waste or exhaustion, no payment of tens of thousands of human lives for an infrastructural breakthrough. Every human community, including the Russians, has a basic set of values and goals. Spiritual: spreading its worldview and faith, bolstering its national character and original creativity in national culture. Material: increasing the welfare of the nation and expanding its numbers. (Geo)political: increasing its national habitat and the security of its borders. The Russians failed to achieve any of those goals over the 20th century as a direct consequence of the Bolshevik coup. The Russian Orthodox Church endured a most savage persecution that put it on the brink of extinction. The originality of Russian culture was forcibly erased, having just reached its fin de siècle apex. Russians were subjected to decades of horrific poverty, terror, and famine, falling into a demographic abyss of enormous proportions. The Bolshevik period ended with a rapid contraction of Russian borders, a reduction of Russian habitat, and our people turned, even within Russia itself, into second-grade citizens. If this passes as a victory, then our goal is not to triumph over ourselves in this fashion once again. A semi-official term for ethnic groups whose name coincided with the name of an autonomy of a full-fledged republic in both the USSR and modern Russia (even though they weren’t/aren’t necessarily the most populous ethnicity), e.g. Kazakhs in Kazakhstan, Ukrainians in the Ukraine, Bashkirs in Bashkortostan, etc. Most of the time, the “titular” ethnicity was/is given the largest leeway possible by the central Soviet/Russian government. Reference to a recent decree of the Kazakh President proclaiming the shift the Kazakh alphabet from Cyrillic- to Latin-based , to be completed by 2025. The Prodrazvyorstka was a Soviet policy of forceful grain confiscation, formally reimbursed with a nominal fee much lower than the market price, leading to mass pauperization of peasants and famine. Kombeds (Poor Peasants’ Committees) were organs of Soviet power in rural settlements, mostly charged with enacting said policy. A 1920-21 peasant insurrection in the Volga region caused by mass grain requisitions and other forms of Soviet-sanctioned abuse, leaving more than 200,000 civilians dead. Often claimed as the first documented use of chemical weapons in internal conflict. The revolutions in Paris in 1871, in Russia in 1917 (to mid-1950s), and in China in 1949 (to 1976)—were all great historic breakthroughs. Hundreds of millions rose up and gained precious experience as to what it would take to get to a world without exploitation, without oppression, without destructive violent clashes among humans, without enforced ignorance and superstition. These first attempts to emancipate humanity were defeated. History is being written by the victors—the imperialists. The oppressors issue endless lies on what “the wretched of the earth” were trying to do, what brutal forces lined up against these heroic attempts, and why there were limitations and even secondary errors in their theory and practice. Along with bringing out the positive achievements of socialism and communist revolutions, and critiquing these previous revolutions through the prism of the new synthesis—how to do better next time around—there is a real need to boldly challenge the flow of lies, slanders, distortions, and phony representations of this history that has lowered sights and shut down discussions over how the world should/could be radically different. The lies serve to reinforce the rotten status quo and its conformist wisdom that the best we can do is adjust or reduce the misery in today’s capitalist world order. This series aims to answer the most widespread lies about communist revolution. The military campaign against the Islamic State is almost over. But now, locals and politicians alike say, the Iraqi government must work to ensure they cannot return to recruit more followers. Analysis — The events at the United Nations Security Council surrounding the joint OPCW-UN-JIM investigation report (“the report”) into the alleged Khan Sheikhoun chemical weapon attack are not being widely reported. This is unfortunate because they show that international opinion is swinging heavily against the report, which has lost credibility. Here an account of what happened on the two most recent occasions when the UN Security Council discussed this issue is necessary. On 24th October 2017 the Russians vetoed at the UN Security Council a resolution to extend the OPCW’s mandate in Syria. They complained that the resolution presented to the UN Security Council to extend the OPCW’s mandate had been brought forward in haste before its report had been provided to the UN Security Council. They pointed out that this was obviously inappropriate and appeared intended to led authority to the report before it was published. They said that there was actually no need to bring forward a resolution to extend the OPCW’s mandate in that way, and that the more correct time to bring such a resolution forward was after the report had been submitted to the UN Security Council for its consideration. The Russians during the 24th October 2017 UN Security Council session also severely criticised the methodology used to prepare the report by the OPCW-UN-JIM team, pointing out that it was being prepared without inspections of the two sites in Syria relevant to an understanding of the incident: Khan Sheikhoun itself, where the attack allegedly took place, and Al-Sharyat air base, from where the attack was allegedly launched. At this point it is necessary to say that the current structure of the UN Security Council means that the US can normally rely on a built-in majority in any vote in the UN Security Council. In the overwhelming of cases where resolutions are presented to the UN Security Council the US can rely on the well-nigh automatic support of 9 to 10 of its members, which is enough to pass a resolution where there is no veto. Though this proved to be the case with the resolution presented to the UN Security Council on 24th October 2017, the account of the discussion around the resolution provided by the United Nations press centre shows that the Russian concerns – both about the seeming haste in bringing the resolution forward, and concerning the flawed methodology being used to prepare the OPCW-UN-JIM report – were widely shared even by some states which voted for the US backed resolution. The two strongest statements expressing such doubts were made by the ambassadors of Ethiopia and Egypt, both of who are normally reliable US allies. TEKEDA ALEMU (Ethiopia) expressed regret that the Council had not been able to adopt the draft resolution since the Mechanism had been created on the basis of consensus. Ethiopia had voted in favour of the text because there remained credible allegations of chemical weapons use in Syria, he said, adding that renewing the mandate should ensure continuity of the Mechanism’s work. Despite today’s outcome, Ethiopia was hopeful that the Council’ unity would be restored and compromise found, because failure to renew the mandate would be send the wrong message to the perpetrators. However, today’s outcome should not be interpreted as an a priori endorsement of the Mechanism’s report, he cautioned, emphasizing that its final version was expected to establish clear responsibility for the two incidents mentioned. Those responsible for the use of chemical weapons should be punished on the basis of robust and conclusive evidence, he said, underlining, however, that it was impossible to overlook the concerns of the Russian Federation and Bolivia, which was the reason why politicization must be avoided. AMR ABDELLATIF ABOULATTA (Egypt) said he had voted in favour of the draft because of his country’s interest in ensuring that those involved in using chemical weapons in Syria were identified. The use and growing proliferation of chemical weapons in that country posed a threat to security in the region and around the world, he said, noting the non-existence of an international system to deter non-State groups from acquiring such weapons. The Mechanism’s methodologies must be improved and sites in Syria visited, he said, adding that conducting such visits and collecting available evidence in a timely manner would help in creating a strong foundation for any findings to be issued. The Council could still renew the Mechanism’s mandate and improve its methodology, he said, emphasizing that its work must be carried out in an impartial and independent manner, and must not be politicized. In the voting over the resolution two states voted against it – Russia and Bolivia – and two abstained – China and Kazakhstan. It is however clear from their comments (see above) that if they had felt wholly free to vote as they wished, Ethiopia and Egypt would either have voted against it or would have abstained. That would have brought the majority in support of the US backed resolution down to just nine, which is the bare majority needed to pass a resolution in the absence of a veto. Ethiopia and Egypt were not prepared to go so far. The US is known to take careful note of how states vote in the UN Security Council. With Ethiopia and Egypt both heavily dependent on the US for aid, they were not prepared to risk their relationship with the US by openly defying it on an issue of such importance. However, as their comments show, their ambassadors nonetheless made their true feelings clear. In the weeks that followed the OPCW-UN-JIM report was duly submitted to the UN Security Council. I do not propose to discuss this report in any detail because its flaws have already been thoroughly discussed and analysed by Rick Sterling. (4) no attempt was made to inspect Al-Sharyat air base – the site from which the alleged chemical weapons attack was allegedly launched – despite the fact that the security concerns which supposedly prevented an inspection of the Khan Sheikhoun site did not apply there. (7) on sampling obtained through a chain of custody which is widely acknowledged to be insecure, and which also originated and was collected without proper or independent supervision in an Al-Qaeda controlled area. The video evidence as it turns out is inconclusive (it does not show the attack) and the eye-witness evidence – obtained from witnesses in an Al-Qaeda controlled area – suffers from time discrepancies that the report is unable to resolve. As has been pointed out elsewhere, there is even some reason to think that some of the individuals who were supposedly victims of the alleged attack were admitted to hospital before the earliest time that the attack could have taken place. Such a report has inevitably come in for a great deal of criticism from the Russians, who have rejected it, and have called it unprofessional. The key point about UN Security Council session on 16th November 2017 (yesterday) is that it shows the extent to which these criticisms are gaining traction. Two draft resolutions were presented to the UN Security Council on 16th November 2017, one by the US and one by Russia. With its built-in majority the US was initially successful in preventing the Russian drafted resolution from being put to the vote. It being obvious that the UN Security Council would not vote for the Russian drafted resolution the Russians withdrew it. However, stung by criticism of the methodology used to prepare the OPCW-UN-JIM report, the US does appear to have conceded some cosmetic changes to the text of its resolution. However these proved unacceptable to the Russians. The Russians accordingly vetoed the resolution, voting against it together with Bolivia, with China and on this occasion Egypt abstaining. Up to this point events had followed what has become the established pattern of debates within the UN Security Council. The US – relying on its built-on majority – proposes a resolution on Syria or Ukraine or some other issue, which it knows Russian cannot accept and will vote against. That gives the US and other Western ambassadors an opportunity to grandstand at Russian expense. The ambassadors of the non-aligned states look on with ill-concealed disapproval, making clear in coded language their unhappiness that the UN Security Council is being used in this way. However they then vote for the US proposed resolution through gritted teeth, ensuring that their concerns go unreported in the Western media. The Chinese ambassador makes clear his support for Russia but when the final vote comes usually abstains. The Russians give as good as they get, and veto the resolution as the US always expected. The Western media then writes up the story of how Russia was “isolated” in the UN Security Council, and round on Russia for being obstructive. Occasionally there is even a portentous article saying Russia should be stripped of its veto. That was not what happened yesterday, and it was what happened after the Russians vetoed the US backed resolution which led to events no longer following the usual pre-arranged script. Though the Russians had previously withdrawn their resolution in the knowledge that the UN Security Council would never vote for it, it was re-presented – undoubtedly by prearrangement with the Chinese and the the Russians – to the UN Security Council by the Bolivian ambassador once voting on the US draft resolution was out of the way. On this occasion the three Eurasian states – Russia, China and Kazakhstan – all voted for the Russian drafted resolution along with Bolivia. However only six or possibly seven states backed the US by voting against it – the US, Britain, France, Ukraine, Italy and Sweden, and possibly Uruguay. Significantly it seems that all four of what are sometimes called the non-aligned states – Ethiopia, Egypt, Senegal and Uruguay – abstained, along with Japan – a US ally, which also abstained – even though all of these countries are in reality allies of the US. (NB: there is an error in the UN press centre’s summary of the vote on the Russian backed resolution. It says that Japan both voted against and abstained in the vote on the resolution, which is of course impossible. In fact it seems clear that Japan abstained, an event so surprising that it knocked the UN press centre’s note takers off-balance, causing them to report Japan’s vote wrongly in one place in their summary as a vote against. The UN press centre’s summary also fails to report Uruguay’s vote, though it is likely that it too abstained). The United States draft on extending the Organisation for the Prohibition of Chemical Weapons‑United Nations Joint Investigative Mechanism was rejected due to the negative vote of a permanent member following a vote of 11 in favour to 2 against (Bolivia, Russian Federation), with 2 abstaining (China, Egypt). Had it been adopted, it would have extended the Mechanism’s mandate — established by resolution 2235 (2015) and set to expire tomorrow, 17 November — for a further one year. The Bolivian draft on extending the Mechanism, also for one year, was rejected after first being tabled by the Russian Federation and withdrawn. The text was rejected by a vote of 4 in favour (Bolivia, China, Kazakhstan, Russian Federation) to 7 against (France, Italy, Japan, Sweden, Ukraine, United Kingdom and United States) with 4 abstaining (Egypt, Ethiopia, Japan, Ukraine). It would have welcomed what it called the “full and profound cooperation” extended by the Syrian Government to the Mechanism and the other group investigating chemical attacks, the fact‑finding mission. Regretting the lack of visits to the sites of chemical incidents, and lack of full chain of custody of evidence and other methodological factors that might cast doubt on the Mechanism’s conclusions, the Russian draft tabled by Bolivia would have requested that investigative teams be dispatched to Khan Shaykhun and the Shayrat airbase, subjects of the most recent report of the Mechanism. It would have requested the Mechanism to collect and analyse information on use by non‑State actors of chemical weapons, and to submit to the Council analytical reports every three months. It would have also called for greater focus on the use of non‑State weapons by non‑State actors. In addition to the provisions contained in the draft that failed on 24 October (see Press Release SC/13040), the United States draft would have underscored the ongoing importance of the Mechanism conducting its investigations according to high methodological standards and basing its findings on the evidentiary levels outlined in its first report. It would have encouraged the Mechanism to consult United Nations bodies on counter‑terrorism and non‑proliferation to exchange information on attacks by non‑State actors. It also would have encouraged the Mechanism to inform the Council of any inability to gain access to sites relevant to investigations. The Russian draft was withdrawn before either text was voted on, after a Russian Federation proposal that its draft be voted on after the United States draft was rejected in a procedural vote. It was tabled by Bolivia after the rejection of the United States draft and statements after that vote. Before and after the voting, all Council members condemned the use of chemical weapons and called for accountability for perpetrators through professional, impartial investigation. In multiple statements, the supporters of the draft, however, said that today’s procedure pushed that goal back by not guaranteeing the continuity of the Mechanism. The representative of the United States said that the Russian Federation had struck a deep blow to the effort, killing the Mechanism and eliminating its ability to identify attackers and deter future attacks. She accused the Russian delegation of playing games with its procedural moves and not consulting with other delegations to come up with a compromise. The representative of the United Kingdom stated that the goal of the Russian Federation was to scuttle the Mechanism because it simply could not accept any investigation that attributed guilt to its Syrian ally. Italy’s representative, voting for the United States draft and against the Russian and Bolivian text, recounted the extensive negotiations that had gone into the United States draft to ensure that all concerns were addressed. He said that the outcome weakened the security architecture and was difficult to merely accept. He pledged continued work to ensure the investigations continued, however. Japan’s representative, having voted for the United States draft and abstaining from voting on the Russian text, stressed that despite the procedures, the Council was still responsible to act to prevent further use of chemical weapons and to provide accountability for attacks in Syria. He urged Council members to work to find consensus on renewing the Mechanism. The representative of the Russian Federation, in multiple statements, said that the flaws in the operations of the Mechanism were not concretely addressed in the United States draft, but were addressed in his text. He expressed disappointment that the initiative for extending and qualitatively improving the Mechanism had failed to secure the requisite support. Calling the way the votes had occurred an effort to disparage his country, he said various tricks would now be used to pin the cessation of the Mechanism’s activity on his country. Noting that his delegation had been accused of not taking part in consultations, he said that they had met three times with the United States colleagues. Similarly, the representatives of China and Bolivia expressed their strong desire for the continuance of the Mechanism, but an equally strong wish that concerns over methodology be addressed. Both therefore voted for the Russian text, with Bolivia voting against the other draft and China abstaining. Speaking before the first vote were Bolivia, Russian Federation and the United States. Speaking after that vote were the United States, France, Sweden, Ukraine, United Kingdom, Uruguay, Bolivia, Ethiopia, Kazakhstan, Senegal, China, Japan, Egypt, Russian Federation, Italy and Syria. Speaking before the vote on the second draft were Bolivia, Russian Federation and the United States. Speaking after that vote were Egypt, Ukraine, Japan, China, Russian Federation and Bolivia. The Russian Federation spoke a final time after those speakers. The meeting began at 3:15 p.m. and closed at 5:49 p.m. During that period the meeting was suspended for 15 minutes after the first vote and the comments following it. …..[welcomed] ……the “full and profound cooperation” extended by the Syrian Government to the Mechanism……[regretted] the lack of visits to the sites of chemical incidents, and lack of full chain of custody of evidence and other methodological factors that might cast doubt on the Mechanism’s conclusions….requested that investigative teams be dispatched to Khan Shaykhun and the Shayrat airbase…. [and] requested the Mechanism to collect and analyse information on use by non‑State actors of chemical weapons, and to submit to the Council analytical reports every three months…..[and] called for greater focus on the use of non‑State weapons by non‑State actors. Following this vote it is impossible to say that there is a majority supporting the OPCW-UN-JIM report in the UN Security Council or that Russia is in a minority in criticising it. Not surprisingly, after this debacle yesterday’s debate in the UN Security Council has gone almost entirely unreported in the Western media. Ms. HALEY (United States) said that Bolivia had tried to pull one over on the Council by calling for the vote in the way it had. She added that flaws were only found in the Mechanism when evidence pointed to Syria. No flaws were found when evidence pointed to ISIL/Da’esh. Neither the Russian Federation nor Bolivia consulted with others on their procedures; they were playing games. She regretted that the whole procedure was embarrassing for the Council. The Russian Federation wanted a Mechanism that they could micromanage. Today’s developments had proven that the Russian Federation could not be trusted as a broker in Syria. The rejected resolution had all the changes that had been requested and the United States and all other members had been disrespected. The next chemical attack would be on the head of the Russian Federation. There are two important facts to take away from this affair. Firstly, despite some heroic attempts to argue otherwise, the methodology of the OPCW-UN-JIM report is quite simply too obviously flawed for it to gain widespread international acceptance. In reality – as I have said previously – a truly impartial investigation to find out what actually happened in Khan Sheikhoun in April this year became impossible the moment President Trump launched his missiles against Al-Sharyat airbase a few days after the supposed attack took place. From that point the whole international prestige of the United States and of its NATO allies who had supported the US attack became bound up with a finding that the Syrian government had launched a chemical weapons attack on Khan Sheikhoun. Any other finding would have been politically impossible and acceptable, and given the hold the US and NATO powers have over the international bodies charged with carrying out international investigations (whose budgets they largely fund) it is completely unsurprising that the OPCW-UN-JIM investigation was structured to ensure that only the “correct” finding was made. What happened, in this case, was that the flaws built into the investigation in order to ensure that it would come up with the “correct” finding were in the end simply too glaring, and could not be ignored even by countries which are normally supportive of the US. Secondly, there were some concerns in Russia a few months ago when the country’s brilliant ambassador to the UN Vitaly Churkin died unexpectedly that he would prove to be irreplaceable. The skill with which Vasily Nebenzia, Russia’s new ambassador to the UN, outwitted Nikki Haley yesterday, and the forceful way in which he made Russia’s case both during yesterday’s debate and during the previous debate on 24th October 2017, shows that these fears are groundless. Nebenzia is clearly a fully worthy successor to Churkin, even if he perhaps lacks something of Churkin’s urbanity and charm. The other ambassadors will have taken note of the fact. As to what actually took place in Khan Sheikhoun in April 2017, I doubt that we will ever know the full truth. I continue to think that the most plausible scenario is the one proposed by Seymour Hersh on the basis of what he says he was told by a senior US intelligence official: that a Syrian bombing raid targeting some Al-Qaeda commanders inadvertently released a toxic cloud as a result of the release of materials held in the building in which the Al-Qaeda commanders were meeting. Since the chain of custody of the forensic samples used to prove that it was instead a sarin attack is insecure, I don’t think it is possible to place any reliance on them. The suggestion that Seymour Hersh’s story is untrue because he cannot identify the building in question is a red herring. Seymour Hersh’s story is not based on personal observation of Khan Sheikhoun but on information he says he was provided by his sources within the US intelligence community. Seymour Hersh provided Die Welt (which published his story) with the details of these sources, enabling Die Welt to contact them directly and to authenticate that what Seymour Hersh was saying about them was true. As I have said previously, it is well within the ability of Al-Qaeda to manipulate or fabricate evidence and to manipulate the way it is presented, and it continues to astonish me that so many people remain in denial about this. I note for example that the person who attempted to uphold the findings of the OPCW-UN-JIM report which I mentioned previously appears to be unaware that it was Al-Qaeda which was in physical control of Al-Sheikhoun on the day when the chemical weapons attack is supposed to have taken place, and that it continues to be in control there to this day. Others will of course dispute these opinions, as is their right. The point, however, is that politically speaking it no longer matters. Following the debate in the UN Security Council yesterday the effect of what happened in Khan Sheikhoun in April both on the course of the Syrian war and on the future development of international relations has ended. The chapter on this incident is closed. On 1 October 1967, the Israeli Government discussed the idea of exchanging prisoners with Egypt. Minister Yigal Allon proposed a prisoner exchange, “Egypt is detaining our security officers, those who have been professionally trained in Israel, have taken military grades and were sent there to work. It is true that they failed, but they are not responsible for that” in reference to the Israeli intelligence’s attempt to blow up offices of US and British interests in Egypt in the 1950s, and the arrest of their agents in Egypt. On 21 October 21 1967, Egypt attacked the destroyer with missiles when it was sailing in Port Said area, killing 47 men of the naval staff and injuring 91 others. An event that has become an important crossroads in the history of Israel in general and its army and navy in particular. On October 24, 1967, three days after the destroyer’s sinking, the Israeli army shelled the refineries and fertilizer factories in the city of Suez with an artillery. The resolutions condemning Iran, Syria, and North Korea for human-rights violations were backed by some of the world’s most notorious human-rights abusers, war criminals, and sponsors of terrorism and violent extremism. On Tuesday, the third committee of the UN General Assembly passed three non-binding resolutions condemning alleged human rights violations and free speech restrictions in specific countries – Iran, Syria and North Korea. Though non-binding resolutions cannot become law and technically carry no legal weight, they are seen as expressing the UN’s approval or disapproval regarding a specific situation. A similar resolution condemning the human rights situations in all three countries had previously been passed by the General Assembly in 2013. The most heavily debated of the UN resolutions was that targeting Syria, as it placed the blame for the deaths of 400,000 Syrian civilians squarely on the shoulders of the Syrian government led by Bashar al-Assad. It further accused the Syrian government of being the sole party responsible for weaponized hunger, use of chemical weapons, and escalated ethno-religious tensions in the country. The resolution was drafted by Canada and co-sponsored by Israel and Saudi Arabia, making it the first time the two former enemies had jointly sponsored a bill. The resolution also condemned Iranian militias active in Syria, as well as Lebanese Hezbollah — calling on them to leave the country at once, despite the fact that the Syrian government invited these parties to participate in the conflict. The Syrian delegation’s concerns that the resolution was politically motivated were supported by the fact that the resolution made no mention of the foreign and foreign-funded extremists who have been documented committing numerous atrocities in Syria throughout the conflict, nor the role foreign governments – such as the U.S., U.K., Israel, Saudi Arabia and others – have played in creating and fostering the current conflict. Despite this and the Syrian delegation’s strong condemnation of the measure, it was ultimately approved by 108 votes in favor to 17 opposed, with 58 abstentions. Iran’s government was also called out separately in the resolution, which condemned the Islamic Republic for alleged acts of discrimination against women, ethnic and religious minorities, as well as the arbitrary detention of activists, journalists and government critics. The resolution targeting Iran received significantly less support than that aimed at Syria, with 83 votes in favor, 30 opposed, and 68 abstentions. Iran, for its part, responded fiercely to the resolution’s passage, rejecting it outright and asserting that it not only lacked credibility but was politically motivated. Indeed, the resolution’s approval by the UN body comes amid an increased push by Saudi Arabia, Israel, and Israel’s Western allies to curb “Iranian expansion” and influence in the Middle East. Iran’s Foreign Ministry spokesman Bahram Qassemi also pointed out that the resolution itself had been backed by some of the world’s most notorious human-rights abusers, war criminals, and sponsors of terrorism and violent extremism. Indeed, Saudi Arabia and Israel — vocal proponents of the resolutions as well as co-sponsors of the resolution targeting Syria — have been instrumental in the war crimescommitted within Syria and are notorious human rights violators within their own countries. Despite the clear, documented evidence of their support for terrorist organizations abroad and their repression of minorities domestically, the United Nations condemnation of these two nations has been decidedly muted in comparison to that received by nations that find themselves targeted by the U.S. and its allied states. Ultimately, these latest resolutions provide further evidence that the UN, especially when approaching issues such as human rights, does not scrutinize nations under the same lens. Analysis — A proposed law at the Italian Parliament is set to punish the boycott of Israel. In the past, such an initiative would have been unthinkable. Alas, Italy, a country that had historic sympathies with the Palestinian cause has shifted its politics in a dramatic way in recent years. Most surprisingly, though, the Left is as implicated as the Right in the rush to please Israel, at the expense of Palestinian rights. Then, Italian leaders were perfectly aware of the country’s unique position in the Mediterranean area. While they were keen on displaying loyalty to the Atlantic Alliance, they also established good relations with the Arab world. Maintaining this balance was not always easy and had led to what it is now being perceived as “radical choices”, which are now being disowned and criticized. Cossiga was referring to the so-called “Lodo Moro“, an unofficial agreement, which was allegedly signed in the 1970’s by Italian Prime Minister Aldo Moro and the leaders of The Popular Front for the Liberation of Palestine (PLFP). Its understanding supposedly allowed the Palestinian group to coordinate its actions throughout the Italian territory, in exchange for the PLFP keeping Italy out of its field of operation. In the interview, Cossiga went further, blaming the Palestinian group for theBologna massacre, a terrorist bombing which devastated Bologna railway station in 1980, killing 85 people. Cossiga’s words may have pleased Israel, but were baseless. The attack then was the work of an Italian neo-fascist organization. In 1974, the Italian government advocated for Palestinian leader, Yasser Arafat’s participation in the United Nations General Assembly; in 1980, it committed to the EEC Declaration of Venice, which recognized the Palestinian “right to self-determination” and, expectedly strongly opposed by Israel and the US. But things have changed as Italy is now living in its “post-ideological age”, where morality and ideas are flexible, and can be reshaped as needed to confer with political interests. Even that halfhearted move angered Israel, promoting the Israeli ambassador to Italy to protest. The Italian prime minister moved quickly to reassure Israel. One year earlier, Renzi had officially reaffirmed Italy’s commitment to Israel in the Israeli Knesset, declaring: “Supporters of “stupid” boycotts betray their own future”. During his inaugural speech, Italy’s current President Sergio Mattarella addressed the “menace of international terrorism” by mentioning the attack in front of The Great Synagogue in Rome, in 1982. His words “deeply touched Italian Jews”, according to the right-wing Israeli newspaper the Jerusalem Post. Among the signatories is Emma Fattorini, member of the Italian Democratic Party and also member of the “Committee for the protection and promotion of human rights”. Palestinian rights, are of course, of no concern to Fattorini at the moment since it appears nowhere in her “human rights” agenda. Another signatory is Paolo Corsini, who abandoned the Democratic Party and moved to left-wing party MDP – Articolo 1. Corsini was also the rapporteur of the “Agreement between Italy and Israel on public safety“, already ratified by the Italian Parliament. The agreement strengthens the relationship between the two countries at a more effective way, in exchange for Israeli sharing of information on public order and how to control mass protests. The political turmoil in Zimbabwe is a product of both domestic factional rivalries and broader international political intrigue. Don’t let the corporate media impose its usual superficial narrative on the events in Zimbabwe; as with all things Africa, there’s so much more than meets the eye. NEW YORK (Analysis) — On November 14, 2017 military forces in Zimbabwe took control of the streets, sequestered President Robert Mugabe in his residence, and publicly announced that the kinda sorta but not really coup was merely a clean-up operation intended to “target criminals.” While the claim does have some merit – Zimbabwe’s government, like those of nearly all nations in Africa and the Global South, grapples with endemic corruption – it remains difficult to ignore the long and sordid history of military coups in Africa, and then avoid the tendency to view the developments in Zimbabwe through the same lens. Indeed, most media outlets quickly branded the operation a military coup d’etat. However, a more critical analysis reveals that this episode is decidedly different from the countless coups that have taken place in the post-colonial history of Africa. In fact, a number of Zimbabwean commentators have made precisely that claim (see here andhere). George Shire, a London-based political analyst, and veteran of Zimbabwe’s liberation struggle, incisively noted to Al-Jazeera, “The dominance of ZANU-PF [Zimbabwe’s ruling party since liberation] on the political landscape in Zimbabwe is not in question…What you see is really a leadership contest taking place – Zimbabwean style.” This point is critical in that, typically, a coup would overthrow not only the President, but an entire ruling party in favor of a military that either assumes control itself or installs some new power structure or party. In this case, however, the military has intervened to block one faction of the ruling party from assuming power in favor of another faction. While it may be a question of semantics as to whether this is a coup or not, the significant issue is exactly what the intra-party infighting within the ZANU-PF tells us about the nature of Zimbabwe’s politics today. Moreover, what, if anything, can be gleaned about the international actors with vested interests in Zimbabwean politics? Naturally, both questions require a careful, nuanced analysis. Much has already been written about the factions vying for power within ZANU-PF as Robert Mugabe, the now 93-year-old president, prepares to exit the stage. Perhaps then simply a brief overview will suffice to explain the internal situation. ZANU-PF has been the ruling party for decades, steered dutifully by veterans of the liberation war under the leadership of Robert Mugabe. However, in recent years, Mugabe’s wife Grace and the clique surrounding the Mugabes, has increasingly moved to consolidate power while laying the groundwork for Grace to succeed her husband as head of state. This has been eyed warily by the old guard of the party, who have often portrayed Grace Mugabe, rightly or wrongly, as a self-serving opportunist driven by materialism – they call her “Gucci Grace” because of her expensive tastes and alleged extravagance – and a thirst for power. Tensions came to a head in recent weeks with the sacking of a number of high-ranking party leaders, including former Vice President Emmerson Mnangagwa who, like many other longtime party loyalists, is a veteran of the liberation war. Mnangagwa was seen by some of the top military brass as perhaps the last of the powerful political officials within ZANU-PF with ties to the struggle for liberation. As such, Mnangagwa remains, in the eyes of his military allies and many in the country, an important figure whose political life could not simply be extinguished by Grace Mugabe and her loyalists — seen by many to be influencing, if not directly dictating policy to, the 93-year-old Robert Mugabe. It seems that the sacking of Emmerson Mnangagwa was the final straw for General Constantine Chiwenga, a longtime ally of Mnangagwa, and his forces. Chiwenga first responded by addressing the nation about the dangerous course taken by their rivals around Grace Mugabe. When that national address failed to achieve anything, the military moved quickly to take control of the country. While one’s interpretation of these moves might depend as much on one’s own political perspective as on objective analysis, the significance cannot be overstated. The military has now removed a very powerful faction of ZANU-PF as it lays the groundwork for a transition of power from Mugabe to other members of the old guard of the party. Rightly or wrongly, the swift military takeover has managed to address a political conflict without significant destabilization of the country thus far. But what does it all mean? How will these developments impact the political situation moving forward? To answer this question, one must consider international political actors and their competing interests, both political and economic, in Zimbabwe. The significance of this move by the military to sideline the chief rivals to Mnangagwa and his allies must be understood in the context of Zimbabwean politics. With Grace Mugabe and the G40 – the term used to describe the faction closest to her, which included the arrested ministers – out of the picture, Mnangagwa has a clear path to power. The reason for this is the extremely weak political position of the Movement for Democratic Change (MDC) and its longtime leader, Morgan Tsvangirai. With the MDC racked by infighting and factionalism itself, it has ceased to be the powerful liberal (read: neoliberal) force that it once was billed to be. Indeed, there was a time just a few years ago that Tsvangirai and the MDC were poised to take power in Zimbabwe with the backing of Washington and London. While it was, rather predictably, vehemently denied by Tsvangirai and his cohorts, evidence emerged over the years demonstrating that he and his party had deep ties to Washington and were used as essentially a front group for U.S.-U.K.-EU political and economic interests. Such was the confidence of Washington in those halcyon days of the late Bush and early Obama years. However, since then, Tsvangirai and the neoliberal, Washington-friendly opposition have devolved into a fragmented mess incapable of mounting a serious electoral challenge against the ruling ZANU-PF party. To a large extent, the collapse of the Western darling MDC has hastened the political crisis that we’ve just witnessed. With the MDC for all intents and purposes out of the way, the mantle of power was ripe for the taking by the competing interests inside ZANU. Hence, First Lady Grace Mugabe and the G40 versus Mnangagwa and the military. It seems, based on the events of recent days, that the conflict is resolved, as the G40 is no more and the military is in control, with Mnangagwa likely to assume power, if only on an interim basis before a scheduled party congress in 2018. However, no analysis of the situation in Zimbabwe could possibly be considered complete without an examination of the most powerful international player in Zimbabwe: China. China has long been Zimbabwe’s chief international backer, going back to the liberation war and Beijing’s backing of ZANU and Mugabe against his rivals of ZAPU and its leader Joshua Nkomo, who was backed by the Soviet Union. Essentially, the struggle in Zimbabwe was both an anti-colonial struggle and a civil war that served as a proxy conflict in the Sino-Soviet competition during the later stages of the Cold War. Since Mugabe and ZANU consolidated power nearly 40 years ago, China has maintained a special relationship with the country where, despite not being the single largest trading partner, it remains the most important — providing military training and hardware, foreign investment, and much more. And it is precisely that relationship that was highlighted by The Telegraph, whichreported that just days before the coup/non-coup General Chiwenga visited Beijing. Naturally, the implication, echoed by a number of analysts from various quarters, is that Beijing either overtly or tacitly approved of the seizure of power and removal of the Mugabes. One has to chuckle at the righteous indignation and outrage from some at China’s gall to back a coup, while those same pundits say nary a word about U.S. involvement in coups and destabilizations the world over. Think tankers and policy wonks whose default position is to level “conspiracy theory” charges at anyone who points out how Washington has done, and continues to do, precisely this sort of action the world over, have suddenly donned their tinfoil hats and cried foul at Beijing. That being said, any reasonable analysis of the situation should take into account not only the coincidence of the coup with Gen. Chiwenga’s visit to China, but also what China would stand to gain from the removal of its longtime ally, Mugabe. Moreover, considering the long-standing military ties between the countries, logic would make it a no-brainer that the general would discuss these plans with Zimbabwe’s primary military ally. So, what does China stand to gain from removing Mugabe? A major issue for China continues to be the indigenization initiatives introduced by Mugabe and ZANU-PF over the last decade. The indigenization program altered the laws of the country regarding ownership, mandating that enterprises deemed in the national interest should be majority owned by Zimbabweans, not foreign investors. While there have been exceptions made for China because of the influence it wields in the country, increasingly even Chinese interests have been subjected to indigenization policies. As of April 1, 2016, when the new indigenization legislation took effect, Chinese companies began to worry that their previously negotiated exemptions to indigenization regulations would be scaled back, if not eliminated. While the Mugabe government has always seen the Chinese as close allies, it has steadfastly refused to allow China to dictate national policy. Mugabe has repeatedly stated his commitment to indigenization as a cornerstone of true independence for Zimbabwe, as he and ZANU-PF see indigenization as necessary to unwinding the structures of ownership and exploitation that are the legacy of colonialism. Naturally, such rhetoric and policy makes powerful figures in China nervous, to say the least. Does this mean that removing Mugabe and placing Mnangagwa, or anyone else, in power is a direct power play by China to remove a leader seen as too independent? That argument seems overly simplistic and rather unlikely as Beijing is traditionally most interested in stability and non-interference in such matters, and certainly remains cautious about opening the door to civil unrest and/or potential influence from Washington-London. However, it is equally likely that Beijing may have been kept abreast of the plans already in motion, and possibly also that it gave tacit approval. Perhaps there was some sort of agreement, spoken or unspoken, regarding support for a new government in exchange for moderation of the indigenization drive? Time will certainly tell. The fact remains that the situation in Zimbabwe is still evolving, and the political dimensions, and broader implications, are only now coming into view. Considering the fact that Zimbabwe remains outside the umbrella of AFRICOM and U.S.-U.K. influence, any changes in the country will have ramifications on the continent. The conflict in Zimbabwe will put the spotlight on the Southern African Development Community (SADC) and the African Union (AU) to act in the interests of the region, and of the continent, and prevent the political crisis from turning into a civil war or regional crisis. It will reopen the door to the MDC, though it seems unlikely they could walk through under their own power. It will again bring into stark relief the question of China’s influence in the country, and in Africa as a whole. In many ways, the events of the last few days have thrust Zimbabwe back into the international spotlight. One can only hope that, for the people of Zimbabwe, the political and international rivalries at the heart of this crisis translate into a stable politics and a better life.